apauling from LSP has allowed me to post his tutorial on making laminated propellers from paper. Back in 2009 when Wingnutwings released their first kits I was inspired to build their LVG C.VI kit. 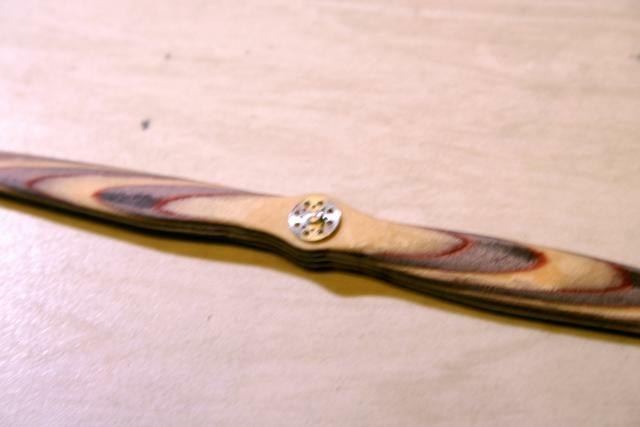 At the time I puzzled how to re-create the multi-colored laminated wood propeller. Keeping the lamination lines straight when viewed from the side makes painting them very difficult. Eventually I decided to laminate different colored sheets of wood together and carve my own prop. This worked at recreating the lamination pattern but I was never really satisfied with this method. When viewed up close the grain pattern of the wood looks out of scale and creating the very thin pieces of wood needed involves a lot of work with the planer. (a tool that a lot of modelers probably don’t have). 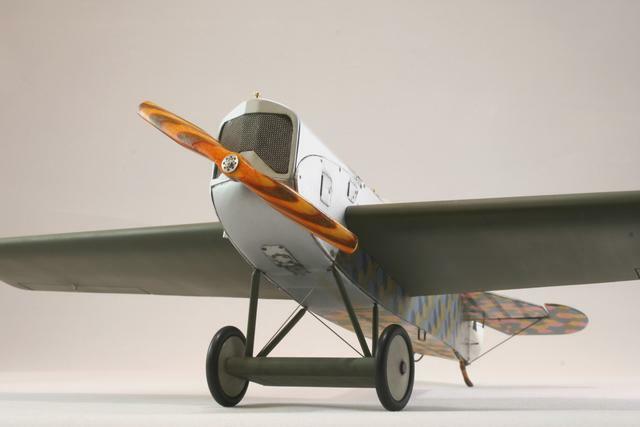 Eight years later I have decided to try again for my build of the Wingnutwings Roland D.VI. 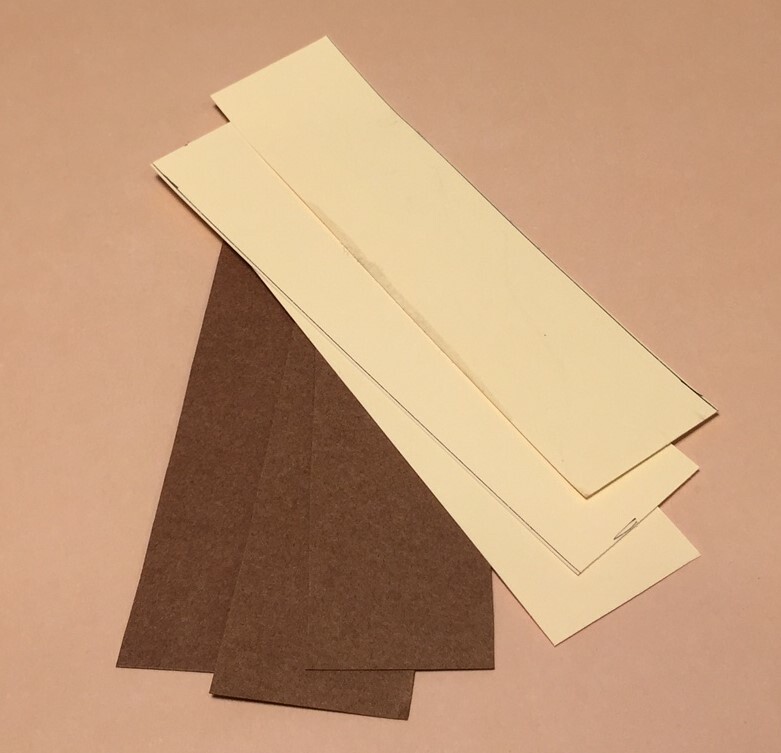 I got some brown and tan colored paper at the craft store and cut it into 1” by 4” strips. The paper I used took three strips to build up the thickness of one of the seven layers. 21 strips stacked up makes the full thickness of the prop in 1/32nd scale. Next I ran a bead of super glue down the center of each strip and quickly stacked them up on the pad of a wood clamp. I tightened the clamp until the layers were nicely squished together and let it cure overnight. (there is a small fire hazard with super glue and organic matter you might want to leave the clamp outside while the glue cures. Next I cut along the outline with a scroll saw. 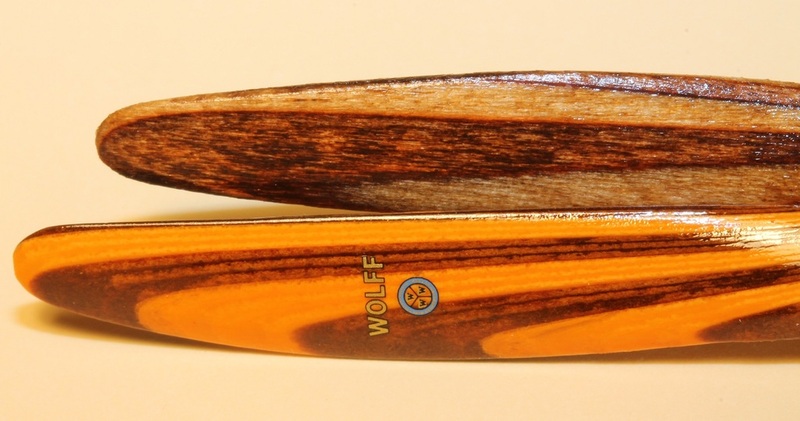 After you have the taper established, carve the twist into the blades. If the paper starts to shred, switch blades or use a little thin super glue to solidify the area you are working on. 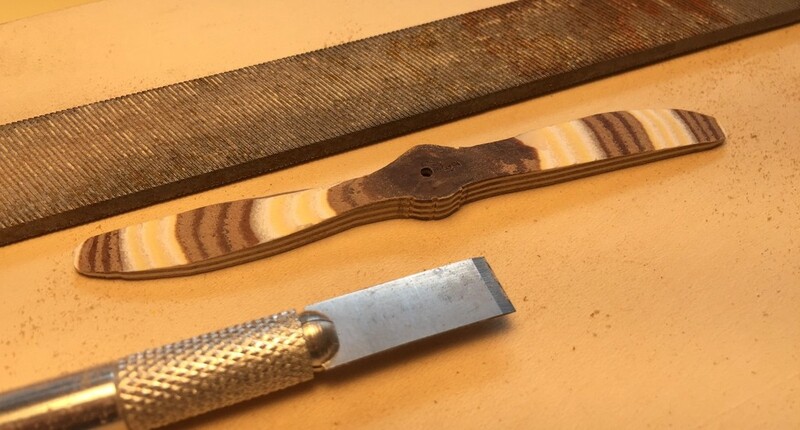 The paper can be filed and sanded like wood but pay attention to the grain so that you don’t pull the laminations apart or tear out chunks of paper between the glue lines. Despite having carved my own props from wood veneer for years this idea is growing on me! There's always room for improvement, and the results shown here are spectacular! Really impressive result, I like it better than wood props I have seen. Thanks for sharing this! I like wooden props more May be paper its easier to finish, I don't know. But for comparison against a wooden propeller he take one made from basswood. 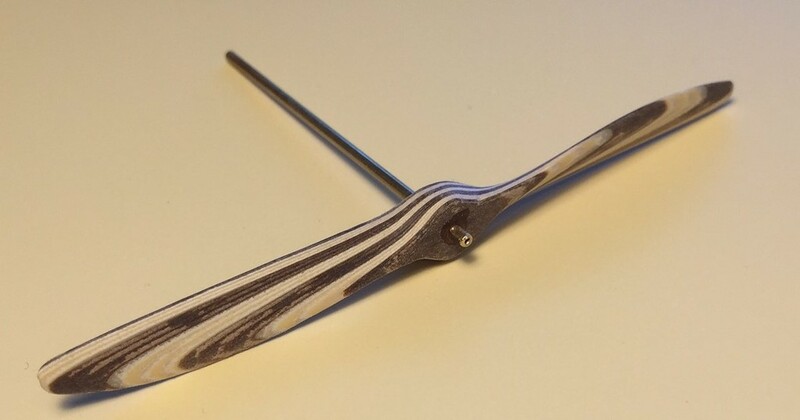 In my experience this kind of wood is unsuitable for propellers, so it could look much better! Such enterprise! Thanks for sharing more excellent ideas with us, Des. I must thank Des for this posting. 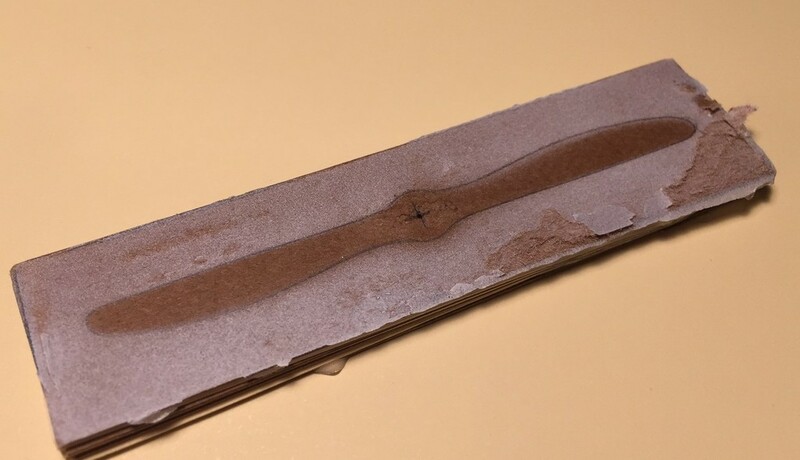 I made the prop for my Fokker scratchbuild using this technique and it came out excellent - no out of scale woodgrain.